KleenGuard Personal Protective Equipment (PPE) enables rather than inhibits – allowing for maximum productivity and safety for you and your employees. (MTO ITEM) -- this size is available on Made-to-Order which requires 30 case minimum order per product code. Product will be available within 8 weeks of order receipt. 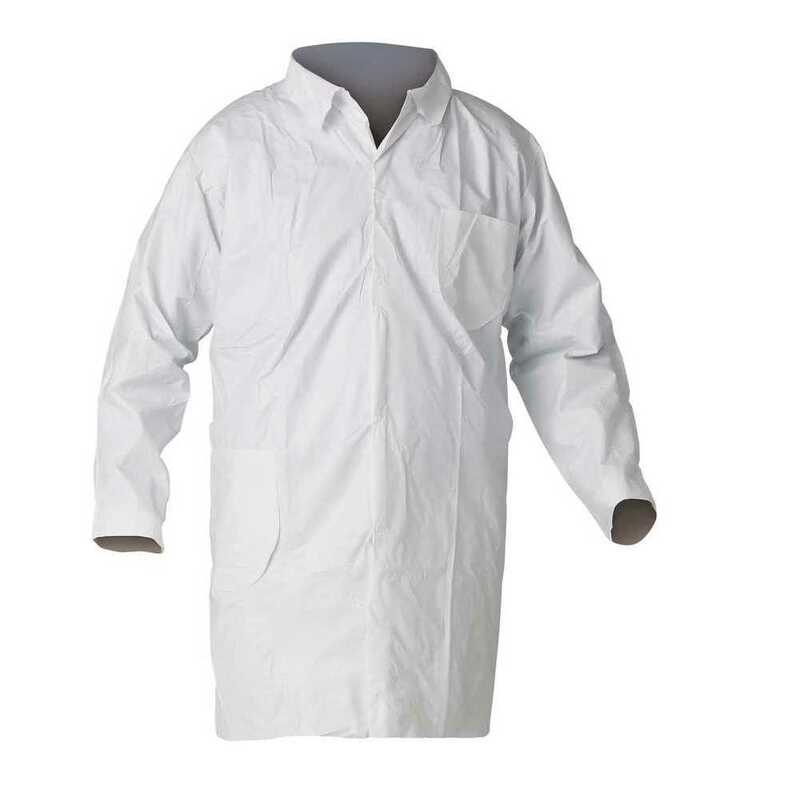 Features: - Snap front closure - One front chest pocket - One front hip pocket - Breathable, microporous film laminate - Better liquid and particulate barrier than TYVEK® - Low in lint - Passes NFPA 99 criteria for antistatic materials TYPICAL USES: Fiberglass manufacturing; Tank cleaning; Utilities; Liquid handling; Pressure washing; Maintenance; General manufacturing. Making the right Personal Protection choice is difficult. Perform with distinction with KleenGuard Personal Protective Equipment (PPE).